And so, the Sinclair Method intrigued us because we are in the business of getting people well. While we love the lives we are afforded by the spiritual program of action within 12-Step recovery, it would be wonderful to have that—and also be physically transformed to a point where we are no longer bodily different from our non-alcoholic brethren to where we could once again drink like normal people. Please read on, but we will share that we do not condone the Sinclair Method, nor do we find that it would work long term on us as real alcoholics. Our dismissal of the Sinclair Method as a true solution is not because it doesn’t incorporate a 12-Step or spiritual answer, it’s because this method is entirely too problematic and it is predicated upon a faulty view of what alcoholism is. But in fairness to those who’re researching this option, we’ll share why we disagree with its supporters. When the mental obsession gives way and the person who has sworn off drinking for good and all craters, the physical allergy kicks in and the drinker consumes more than intended. This happens nearly every single time. The “Sinclair Method” is not a new concept and most of the research related to it was conducted in the 1980s. It is named for the researcher who first developed it and helped it gain prominence primarily in Europe. The premise of it is very simple, which explains its appeal. Essentially, the method involves taking a medication – Naltrexone, to be specific – prior to drinking alcohol, every time you drink alcohol. Naltrexone is an opioid antagonist and is most prominently used to block the action of synthetic opioids like heroin, opium, oxycodone, etc. within the body so that if a person ingests both substances the opioid is rendered useless as far as analgesia and euphoria. Basically, and theoretically, a person who drinks while on the medication will not experience the same chemically-fulfilling experience a person who drinks without it will. In other words, take Naltrexone before you drink and you won’t get the same enjoyment you once did from drinking, Drinking without the joy. Ivan Pavlov’s experiment in the 1890s found that when dogs associated outside stimuli with being fed, they began to salivate even before they were fed. In other words, seeing or hearing any object or event associated with being fed would lead them to anticipate being fed and cause their mouths to water. The Sinclair Method is based on a permutation of Pavlovian conditioning referred to as “extinction” or, more specifically, “pharmacological extinction.” It’s Pavlov’s dogs, in reverse. Over time, just as the alcoholic has become conditioned to crave alcohol both when they are not drinking and when they are, absent this euphoria—due to taking Naltrexone—the reverse supposedly takes place. The Sinclair Method drinker becomes conditioned to no longer obsess and crave alcohol since their neurochemistry no longer receives great euphoric benefit. The Sinclair Method proposes that as long as a person takes Naltrexone, over time the alcoholic’s addiction will wane and eventually dissipate to the point where they no longer drink on a dangerous level or even drink at all. This method is clearly based upon the assumption that alcoholism is purely an affliction of the physical sort and therefore it can be fixed by changing addictive brain chemistry. We will expound upon why this is incorrect later on, however, for now, we will just assume that this basis is, in fact, valid so that we can point out some of the more obvious issues with this treatment that exist even if it rests upon sound assumptions (which, again, it does not). So, supposing that this works in reality as in theory, what makes this approach impractical? For starters, why would anyone think that an alcoholic – who is addicted to the feeling they are afforded by alcohol – would be able to continually take a medication that prevents this feeling? In other words, why would an alcoholic comply with the proper medication regimen required of the Sinclair Method? “Up-regulation” is the brain’s natural response to being flooded with opioid antagonists like Naltrexone. Basically, the brain in an attempt to maintain normalcy senses that in the presence of the opioid antagonists it has a diminished capacity to feel pleasure and attempts to compensate for this by increasing the number of available opioid receptors. In the presence of Naltrexone this is not a problem. However, if the alcoholic attempting the Sinclair Method misses even one dose of the medication and then drinks, they will be doing so with a brain now hyper-sensitive to the pleasurable effects of alcohol. There will be greater incentive to not only keep drinking, but to forego the Sinclair process permanently because not only will the brain be reminded of the pleasurable effects of alcohol sans Naltrexone, but it will, in fact, experience a more intense “high”, if you will, than it even knew before. Evidence of this has in fact been observed in those employing the Sinclair Method; that generally a missed dose leads to a very intense binge drinking session or sessions as a result. In fact, the greatest proponents of the Sinclair Method even caution against ever missing a dose. Is this really realistic? To ask an alcoholic to not only diminish their alcohol high but also to do it every single time they drink without fail, ever? We think the answer is obvious, but again, let us just go along with this thinking and see where else it might lead us. Suppose an alcoholic can adhere to taking Naltrexone, without fail, for the rest of their life. What possible other consequences could this have? In short, if alcoholic drinks for the euphoric feeling and you ask them to voluntarily avoid that feeling, will they stick with it. It’s not a perfect metaphor, but it’s like asking someone to work without getting paid. The alcoholic substituting a new addiction for the old is also not a new concept. Such is especially true when employing a method like that of Sinclair which really doesn’t get to the heart of the problem (but more about that later). 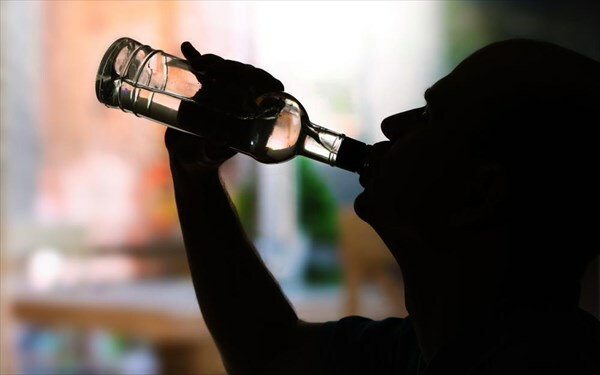 An alcoholic who has been able to chemically curtail alcohol’s effects in their body puts themselves at a very high risk of changing their particular drug of choice to something that will still work. For instance, while opioids would not be an option because of the Naltrexone, high levels of barbiturates (like Phenobarbital) and benzodiazepines (like Xanax) are known to often scratch the same itch that alcohol does. There are some inherent hazards with this course of action. For instance, barbiturates are known to be some of the easiest substances to overdose on (relative to alcohol) and both severe barbiturate and benzodiazepine dependence entail, anecdotally, even worse withdrawal symptoms than that of alcohol. So, furthermore, the Sinclair route seems a poor decision since it seems to logically create a separate incentive for the alcoholic to self-medicate through other means. And finally, we have yet to touch on the following point yet, since it really is such an obvious argument against the Sinclair method that it almost goes without saying, but it still needs to be mentioned. A very large percentage of alcoholics are unable to admit that they have a problem at all until it’s absolutely and undeniably glaring; sometimes this comes as a third DWI, sometimes this comes as the loss of a job and sometimes it comes as late-stage organ failure secondary to alcoholism. Do we really want people who fall into this last category experimenting with their neurochemistry over the course of several months to try to induce pharmacological extinction through the concomitant use of Naltrexone and alcohol while their bodies are further poisoned to death? They very well may not have that long. The point we are really trying to drive home in this section is that the Sinclair Method, even when you assume a lot of its proponent’s faulty logic to be correct, it is still quite problematic. Even if alcoholism is just a mere physical affliction of unfortunate brain chemistry, it still seems highly unrealistic that you would be able to not only get an alcoholic to take a medication to inhibit the euphoric effects of booze, but also to take it without fail at the risk of an “up-regulation” bender, and also to take it without choosing to find an alternate substitution or without seriously jeopardizing their physical health in the process. Have you ever known an alcoholic to be this completely reliable in the governance of their problem? Especially if they’re busy denying they have a problem? Alcoholism is not just a physical affliction, although there is that component of course. 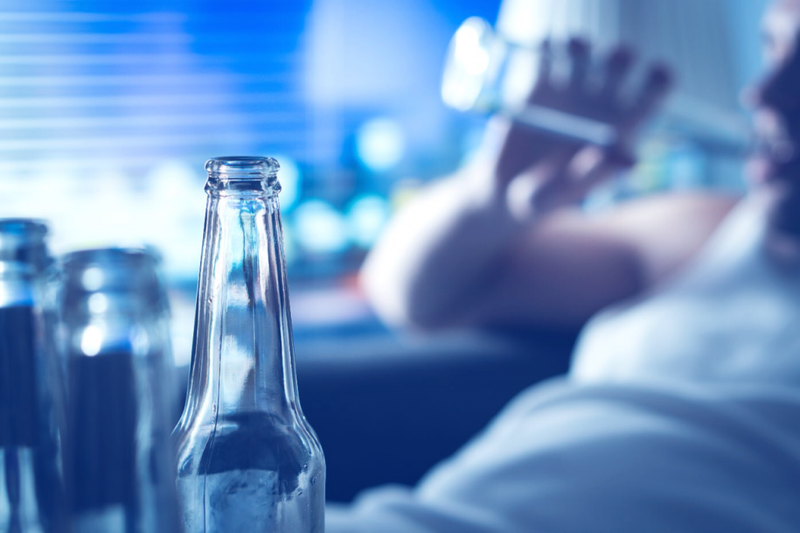 The body of the alcoholic does experience the phenomenon of “craving” once the substance has been put into it, which causes the alcoholic to no longer have control of the amount of alcohol they intake. But that is just one of three pieces present. As we have demonstrated above, it’s unlikely that the Sinclair Method in fact even addresses the physical aspect, though it claims to, but in the event it does, there are still two components to alcoholism that remain. Alcoholism is often referred to as a “bio-psycho-social” affliction which attempts to indicate that it is a disease of the body, mind, and spirit. The alcoholic has a mind that obsesses over alcohol constantly whenever the alcoholic is still in active addiction but is not physically drinking, a body that craves it once the substance has been introduced to the body and a spiritual malady that promotes substantial “inward unmanageability,” the symptoms of which are restlessness, irritability and discontentedness, which will always work toward getting the alcoholic to anesthetize these feelings with alcohol. It’s this third component of alcoholism – the spiritual malady – that really defines why the Sinclair Method ultimately fails. While we don’t believe the following to be actually true, for the sake of discussion, we will concede that if the Sinclair Method did in fact remedy the physical aspect of alcoholism, then it could logically also eliminate the mental obsession. Again, this is the unproven theory behind the method, but if craving could be lessened and the mind taught to believe alcohol did not possess euphoric traits, then conceivably over time the mental obsession around alcohol would also lessen. Unfortunately, that still leaves the most prominent and troublesome component of alcoholism – the spiritual component – and no amount of Naltrexone is going to remedy substantial and personally handicapping long-term inward unmanageability so severe it can really only be aptly described as a malady that is spiritual in nature. The only thing that has ever been observed to relieve such an ailment, and this was stated in no uncertain terms by the preeminent Carl Jung, is a truly transformative spiritual experience which is precisely what a properly executed 12-Step program will recreate and precisely what a lot of Naltrexone and booze will completely neglect. And of those who have had supposed success who are in fact real alcoholics, we would contend that they aren’t “recovered” in the sense a person in long-term sobriety living the 12-Step way of life are, but rather these Sinclair “success” stories are really the equivalent of what we call “dry drunks” or they are “white knuckling” it as we put it. You see, alcoholics who can forcefully separate themselves from alcohol absent a spiritual solution, while rare, aren’t, in fact, unheard of. These poor souls take the brute-force method of recovery (which is not recovery at all but really deprivation) and the term “white knuckling” refers to the lack of blood in their knuckles as they clench a chair and greet their teeth fighting off the urge to drink. Anyone who has been in the recovery community long enough knows people who’ve gotten sober through methods like the one Sinclair proposed. There are alcoholics who don’t find the solution through the spiritual experience of the 12-Steps, and just physically separate themselves from alcohol to live painfully through the spiritual malady or “bedevilments” that still remains in full-force constantly compelling the “dry drunk” to want to self-medicate. In our opinion and observations, this is what the Sinclair Method alcoholics have done. While they haven’t separated themselves from alcohol like the dry drunk has, they have separated themselves from the euphoric effects of alcohol that act to temporarily alleviate the spiritual malady, which to us is in effect the same thing. If there’s any question as to the veracity of our point here, please just look to the Sinclair Method drunks themselves. They seem to really like to post on the internet and most of the time they’re not delivering experience, strength, and hope of an inspirational nature like that of many 12-Step enthusiasts in long-term sobriety. Instead, they are besmirching 12-Step fellowships as evil and weak-minded. We have even seen a few by one gentleman who self-designates as a doctor of some sort and his video which is supposed to be in support of the Sinclair Method is actually just him chain-smoking, drinking beer and slurring an ugly cacophony of nonsensical hate. But really, can you blame him? He’s slurping down booze that no longer works. If the Sinclair Method works so well, tout that. Don’t spend precious time discrediting the 12-Steps which you found not to work. The Sinclair Method represents just another easier, softer way, as referenced in the Big Book, that the alcoholic uses to try and control his drinking rather than looking to a spiritual solution to cease drinking altogether. We would encourage anyone who has either experimented with the Sinclair Method or is thinking about it to contact us at 844-843-8935 or by clicking the contact button below.